What would you call a seven-foot-tall creature from South Carolina with red eyes, a scaly body and three fingers on each hand, who liked to bite cars? No, not "Earl." It's the, ahem, Car-Biting Lizard Man of South Carolina. The Lizard Man, a South Carolina legend rivaling the Pacific Northwest's Sasquatch, has apparently struck again. A Lee County couple told police their car had been mauled by some sort of creature, who bit through the car's fender, leaving teethmarks. Similar attacks on cars have been recorded in the county since 1988. 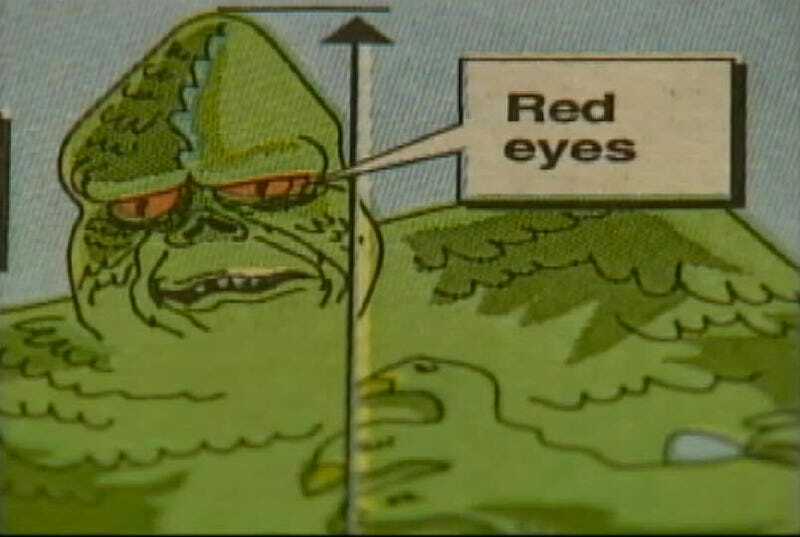 The first eyewitness, a 17-year-old boy — who told the local sheriff a tall creature resembling a lizard jumped on his car, and peered down at him through the windshield — even passed a polygraph test. Now an adult, he never changed his story. A second incident, reported two years ago, involved a minivan being bitten through the metal. There was no eyewitness in that event. Apparently 50,000 visitors have come to Lee County hoping to spot the Lizard Man. But so far, no scale.